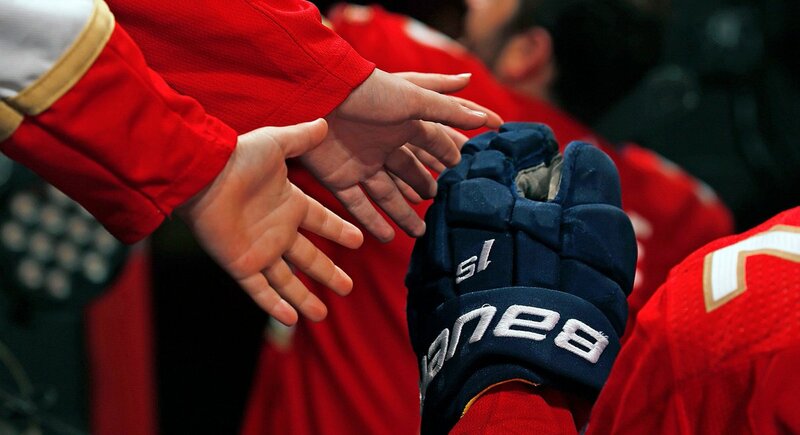 The Florida Panthers are a player in this market again. The team is instantly relevant again. Playoffs? It was suggested to Tallon that hed just found his Riley, or his Don Shula. Watch the full press conference as Joel Quenneville is introduced as the new coach of the Florida Panthers. Florida Panthers defenseman Aaron Ekblad is looking forward to learning from new coach Joel Quenneville and hopes to be part of an elite defensive pairing like Quenneville's former players Duncan Keith and Brent Seabrook. New Florida Panthers coach Joel Quenneville brings a championship pedigree and makes the Cats instantly relevant again. Not since the Heat hired Pat Riley in 1995 has a South Florida pro team hired such a proven winner as coach. 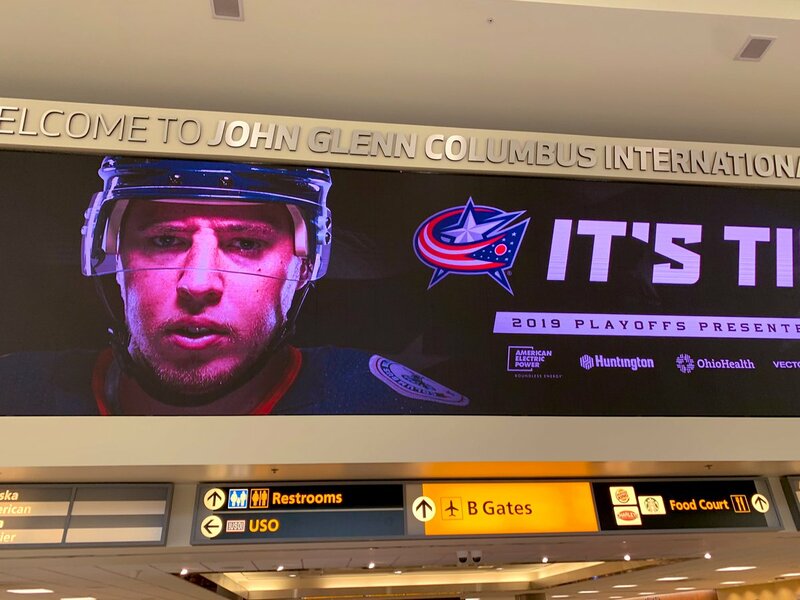 The issue now is which Bobrovsky will show up for the postseason: the stalwart, regular-season standout or the forgettable, fold-in-the-playoffs guy. Joel Quenneville was fired by the Blackhawks 15 games into this season after more than a decade in Chicago. The erstwhile Chicago Blackhawks bench boss brings multiple Stanley Cup titles to the Panthers and a ton of experience. But his background could also help land some pretty enticing free agents. Retweeting for both Stevie Y and Gary Thorne appreciation. The aforementioned Boldy goal. What a play. Matthew Boldy started the season strong and it looks like he's finishing stronger. His goal just made it 3-1 for USA and was it ever pretty. Gained the zone, chipped past the defender, sneaky backhander goes top shelf. Incredible skill play. Solid play from Hughes to force the turnover, break in and take the initial chance. Excellent effort from Caufield to dive and slap it in. 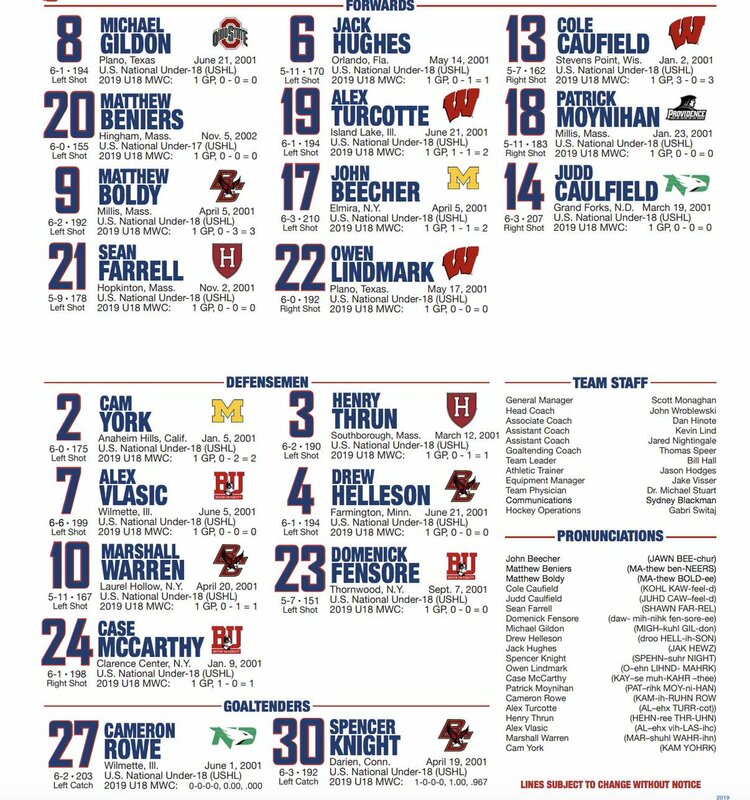 USA's lines vs. Slovakia at the U18 MWC. Still no Trevor Zegras (upper-body) or Landon Slaggert. 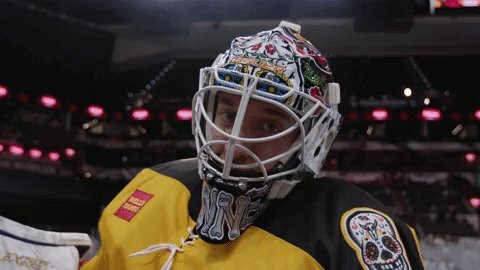 Both remain unregistered leaving USA with two open roster spots at F. Cam Rowe gets the start in net.